Well, let me try and uncomplicate the world of landing pages by outlining what they are, where people often go wrong in creating them, and how to actually create them yourself – complete with a handy step-by-step video. Landing pages are just simple, standalone web pages that someone comes to (or ‘lands’ on) that are designed with one specific purpose in mind. So take a homepage for example. There’s often some social media buttons, featured blog posts, maybe an opt-in box and a menu bar with more options to explore other parts of the website. A landing page removes all of the fluff and focuses on just ONE call to action (or CTA). That CTA is closely linked to whatever the person clicked on to get to that landing page. They might have seen an ad on Facebook saying: “Would you like to register for my free training on how to be the world’s most amazing human being – click through to register!”. They then clicked through and landed on a page with a similar title, something along the lines of “So you want to be the world’s most amazing human being? Great, pop your name and email below and I’ll send your free training straight to your inbox!” The one and only purpose of these types of landing pages is to collect people’s names and email addresses – or ‘leads’. They are referred to as lead generation landing pages, capture pages, or squeeze pages. And these are arguably the most common types of landing pages that you’ll come across. On this type of page you’ll be putting in your information in exchange for a useful video, training, eBook, etc. You will hear these ‘sweeteners’ being referred to as lead magnets, content upgrades, and opt-in freebies but they all exist for the same reason. They serve the purpose of providing visitors with value that will make them want to input their name and email, in order to get this value delivered to their inbox. It’s a simple exchange process, but there are still a few ways in which it can go wrong. A great big, GIANT mistake people often make with their Facebook ads in particular, is that they put all of their energy into creating the ad copy, a beautiful image or video, and setting everything up right and then forget about a crucial element of the process. A customer’s journey doesn’t simply end with an ad. It needs to lead somewhere. It’s time to stop focusing on the click-through-rates of Facebook ads and how many people are engaging with them. Although that stuff is incredibly important, we need to also look at what happens on the other side of that ad. That’s where an effective strategy in creating your landing pages will come into play. So what makes landing pages effective? One of my biggest pet peeves is people asking me to subscribe to their email list, by asking me to… well, subscribe to their email list. That tells me nothing about why I should be on their list, what they have to offer me, or the value I will potentially get out of it. So what you need to do is start with an enticing offer. Put it this way, which of the following would you be more likely to subscribe to? Hey visitor! Subscribe to our email list below and never miss out on all the fun things happening on this blog. OF COURSE, you want to get more email subscribers onto your email list! …and we can help you get there! Pop your details below to get instant access to our proven guide to getting 1000 subscribers in 1 month. Heck yeah, I want it! The second one is way more fun, right? You know exactly what you’ll be getting and if this is on a blog that’s dedicated to marketing then chances are, building your email list is something that’s incredibly valuable, and therefore personal to you and your needs. People make some big mistakes here with their landing pages. The copy (fancy marketing word for ‘text’) on their landing pages is way too long and their visitors get tired of reading before they even get to the CTA. Or it’s short and to the point but doesn’t actually tell them any of the important stuff. The key is to get someone other than yourself to check your page out before you waste time and money trying to direct traffic to it. I’ve been creating landing pages for years and I still do this. It’s hard to be objective about your own work, it will almost always make perfect sense to you because you wrote it. What you need to know is – if someone lands on this page not knowing anything about who I am, what my business is about and why they should sign up, will it be clear? And the only way you’ll find that out is by having someone else check it out. The other key thing is to check it out on mobile. In all likelihood, you’ll be designing your landing pages on your desktop and your copy will seem super short! But it’s 2018 and most of your visitors will be viewing it on mobile, so pop over to your smartphone and make sure your copy is the right length, even for our ever-depleting mobile attention spans. This is a big mistake, you don’t really want people going off to read your blog posts or checking out your site because the whole purpose of your blog is to capture leads and ultimately make sales. Allow people to focus on ONE THING on your landing page and any links you include on the page should all drive your visitors to the same place. When you create your landing pages with a tool like Leadpages (the tool we personally use), they’ll provide you with some handy templates that you can customize. Now, for the love of all that is good in this world – please take time to customize them to your brand. 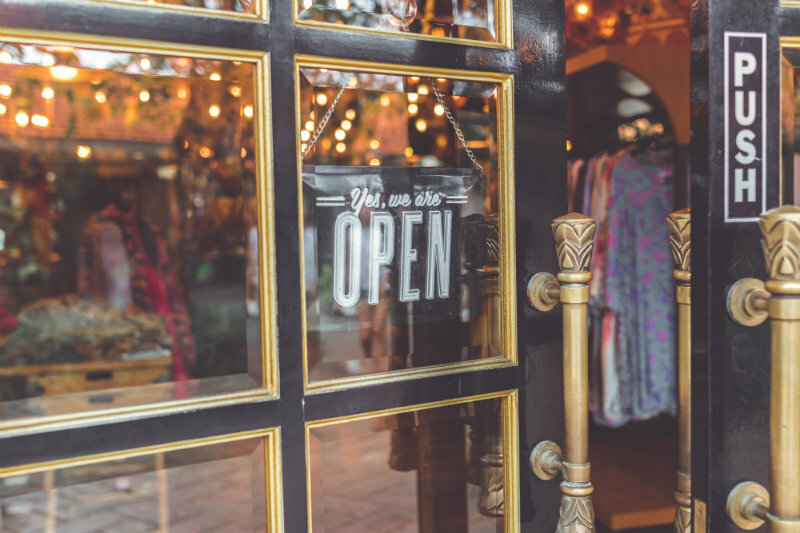 If your business is a clothing brand aimed at solo female travellers and your landing page is made up of fluorescent green text with a black background, chances are you’ll just end up scaring a lot of people off. Don’t over complicate it by tweaking and tinkering too much either, because after all, those templates are proven to work in the layout that Leadpages has created them. Also, they should very clearly show your brand identity through your colour scheme, fonts, logo, and maybe even photos of your team or products. In addition, it’s important to convey a tone of voice that’s relevant to your brand and that is also aligned with what the person saw before they came to your landing page. One of my big flaws as a freelancer and a business owner is the fact that I often think I can do everything, and do it better than people with years of experience. I’m 5’3” so I’ll chalk that up to my Napoleon complex flaring up and making me think I’m a superstar at everything. Over the years I’ve learned to tone this flaw down and admit my shortcomings which is where Leadpages comes in. Previously, I self-designed all of our own landing pages on our WordPress website and though they were technically functional, they were hideous and converted at about 2%. So I waved the white flag and decided to invest in software made by people who know their stuff. Leadpages lives and breathes landing pages and makes it incredibly easy to customise templates that are PROVEN to convert visitors into leads. Check out the video below on how to make your own landing page, leadbox and thank you page with Leadpages and set it all live in less than 20 minutes. You don’t have to know any fancy coding or even be a design genius to make stunning landing pages. Here’s also an additional resource from Leadpages themselves on how to use their drag and drop builder. If you run an eCommerce business, Leadpages can integrate with your Shopify store and allows your customers to purchase your items directly on your landing pages. With all of the recent Facebook changes that have been happening, Leadpages can also help to finetune your Facebook ads as well. 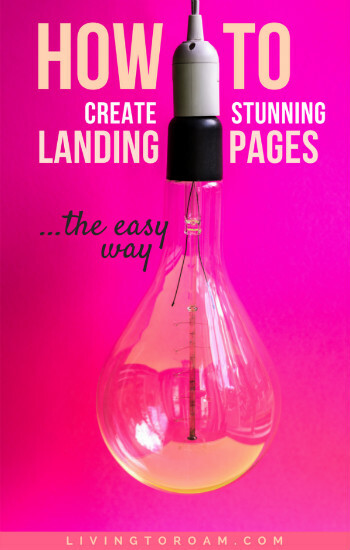 Also, if you’re ever stuck for inspiration on how to customise these templates to make them your own, Leadpages has great articles like this one where they showcase examples of other business’ landing pages that they loved. I hope that helps you to start creating some seriously beautiful landing pages of your own, and if you have any questions make sure to pop them in the comments below!